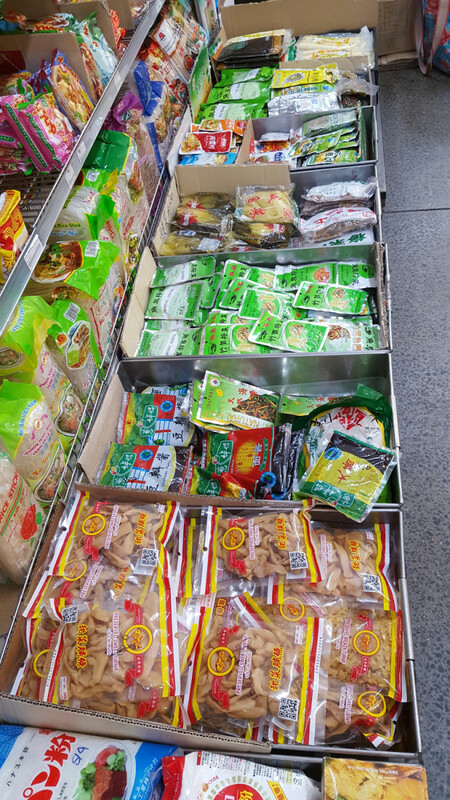 If you’ve ever wandered through the aisles of Asian food stores, you would have seen a huge range of packets and tins of dried and preserved vegetables. They are not exactly visually attractive with many being dull brown in colour. So what’s the appeal? Preserved vegetables have been pantry essentials in Chinese households. 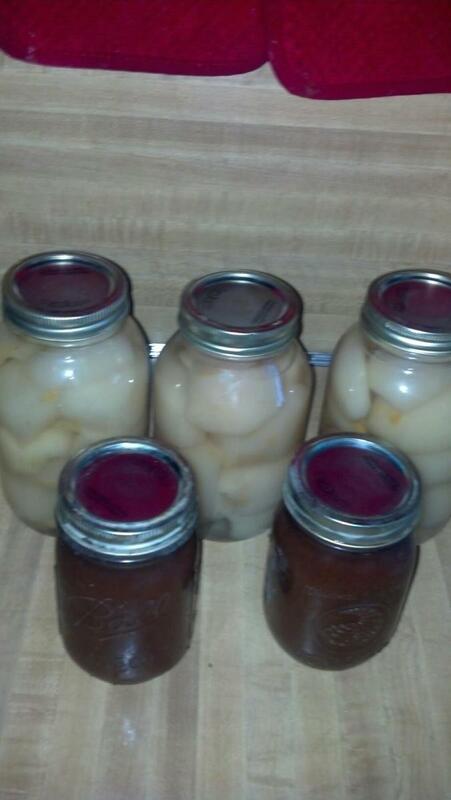 The tradition of preserving all sorts of vegetables is centuries old. There are literally hundreds of types of traditional Chinese preserved vegetables. Different regions have their specialities. 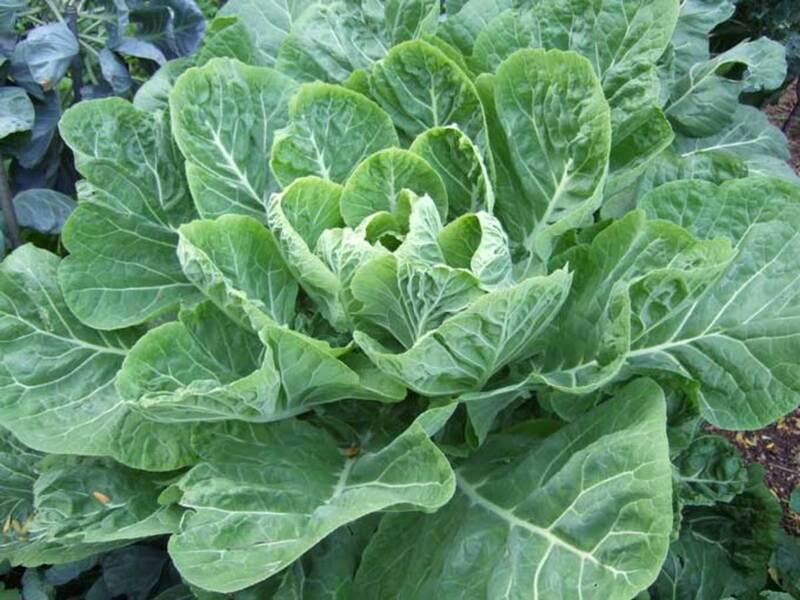 For example, the Sichuan region is renowned for its chilli-coated preserved stem mustard, made by drying, pressing and salting a knobbly stemmed variety of mustard greens. 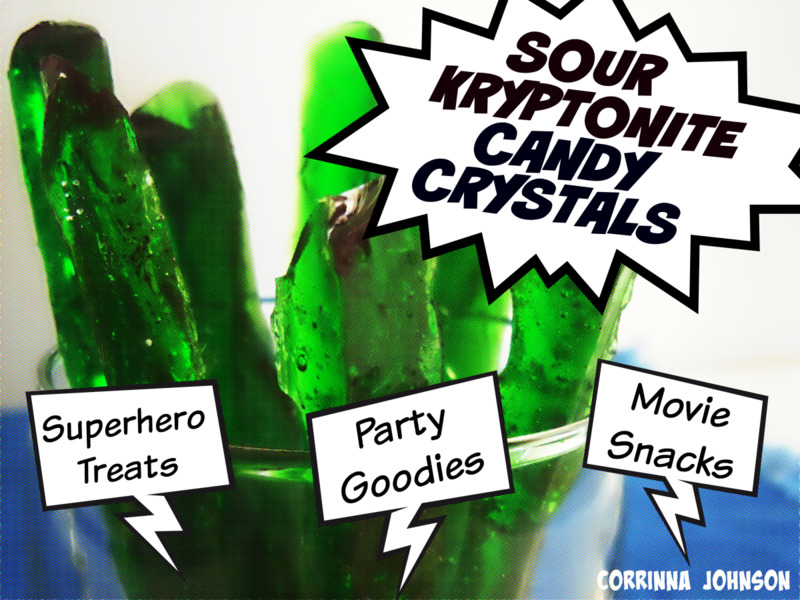 They may be simply dried and rehydrated when required. 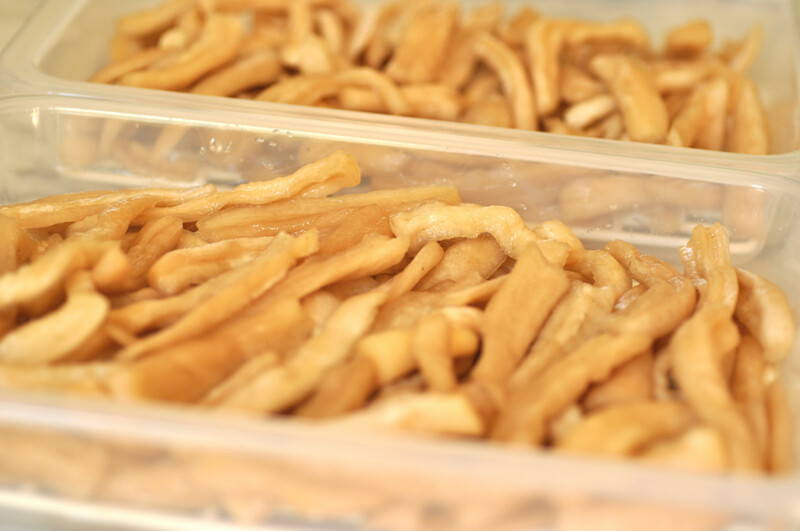 For example, dried lotus roots are a good substitute for the fresh variety when making lotus root and pork bone soup. 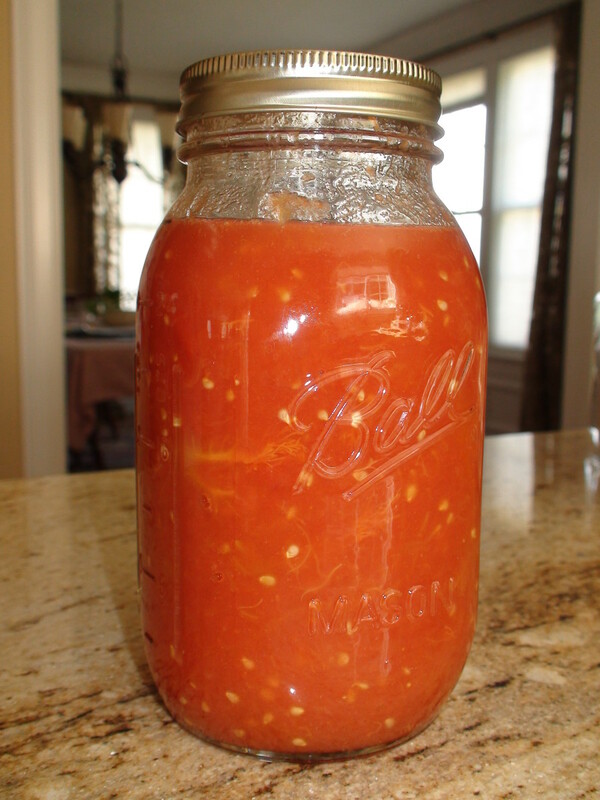 More often, the vegetables are fermented in a number of ways. 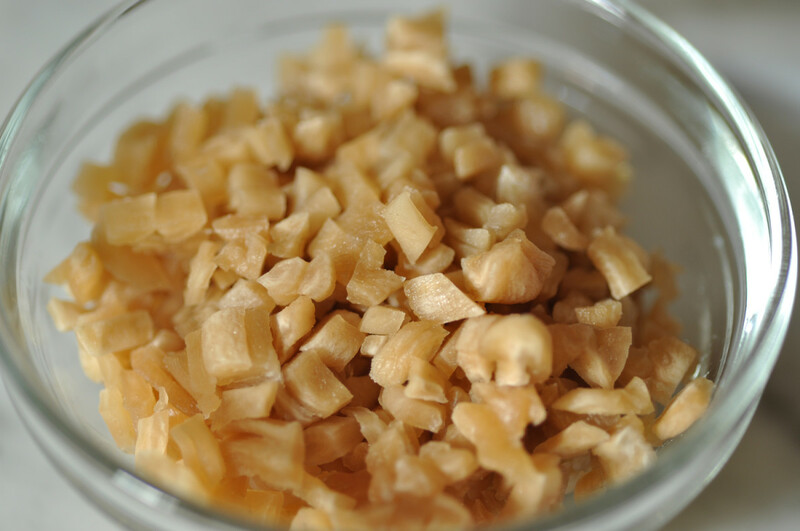 This results in the complete transformation of the flavour and texture of the underlying vegetable. By combining any one of these preserved vegetables with meat, eggs, noodles or other basic ingredients, you get a uniquely flavoured dish. These types of dishes are the ultimate Chinese home-style comfort food. Chinese preserved vegetables are cheap as chips. 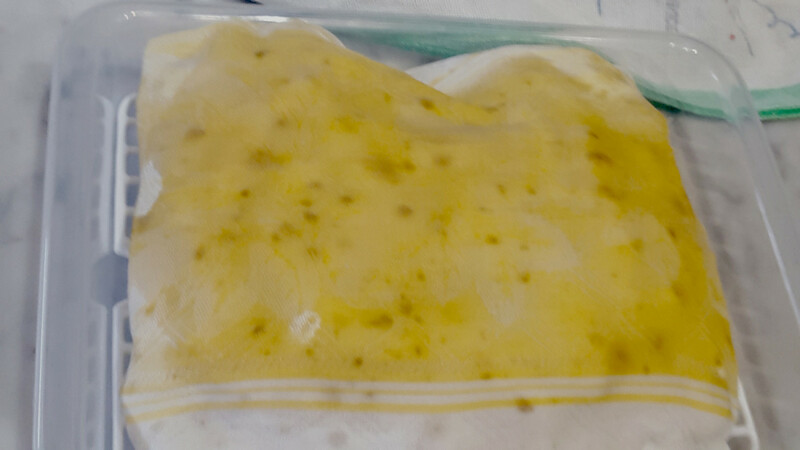 However, due to increasing concerns about use of chemicals and preservatives in commercially produced preserved vegetables, I have decided to experiment with making my favourite preserved vegetables. What Is Choi Poh? How Is It Used? 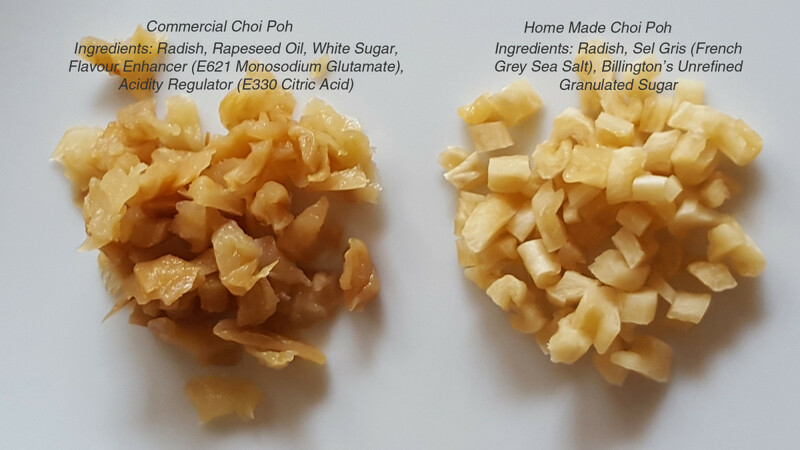 I am starting this series on home-made preserved Chinese vegetables with a universal favourite: "choi poh", the Cantonese name for a sweet salty preserved radish (daikon). 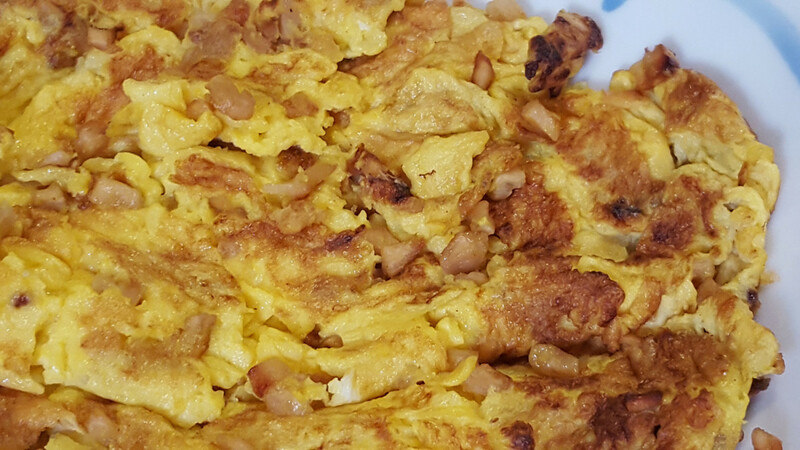 Choi poh omelette is the ultimate comfort food in Chinese home cooking. Commonly eaten with congee, it’s great with steamed rice. 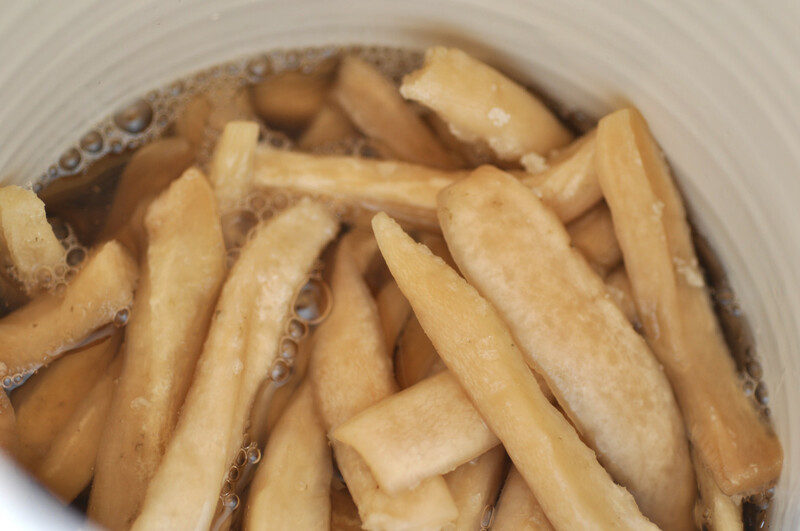 Choi poh is also an essential ingredient in many street food dishes. It’s used in Pad Thai, the universally popular Thai fried rice noodle dish. Interestingly, Choi poh seems to work best with rice noodles. It doesn't marry as well with wheat noodles. If you have choi poh on hand, you can quickly whip up a delicious stir-fried rice vermicelli dish. Just toss in some green leafy vegetables, crack in a couple of eggs and you've got dinner! Choi poh adds crunch and flavour to Char Koay Kak, a Penang hawker favourite of fried radish rice cakes. 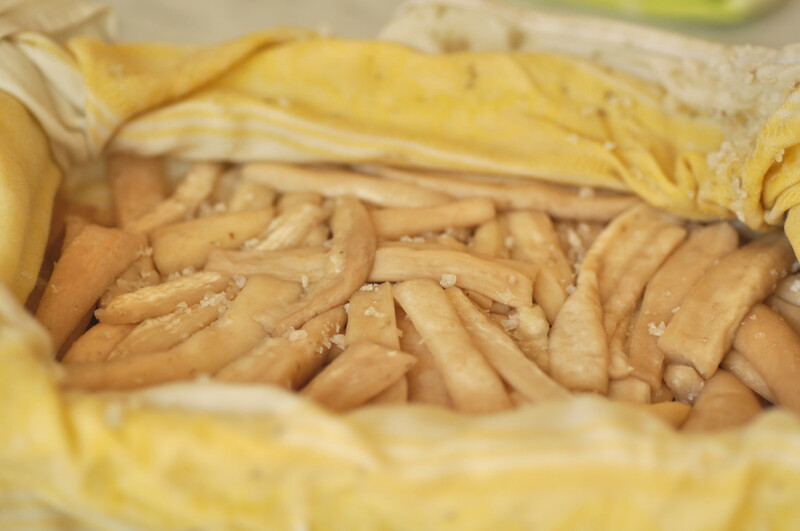 A generous mound of choi poh gives a sweet salty kick to steamed rice cakes known as “woon chai koh” (literally “small bowl cake”) which is also called “chwee kueh” in Hokkien. The latter was a great favourite of my late father. Stage 1: Getting rid of the water content in the radishes by salting. Stage 3: Soaking in sugar syrup. The amount of radish is significantly reduced during the process. In a recent batch, I started with about 2.5kg of radishes. After trimming the tops and peeling the radishes, I ended up with just over 2kg of radishes. This was reduced to just under 1.5 kg at the end of Stage 1. By the end of Stage 4, I only had 612g of preserved radish. So I would recommend that you make a large batch. Once preserved, the choi poh will keep almost indefinitely. 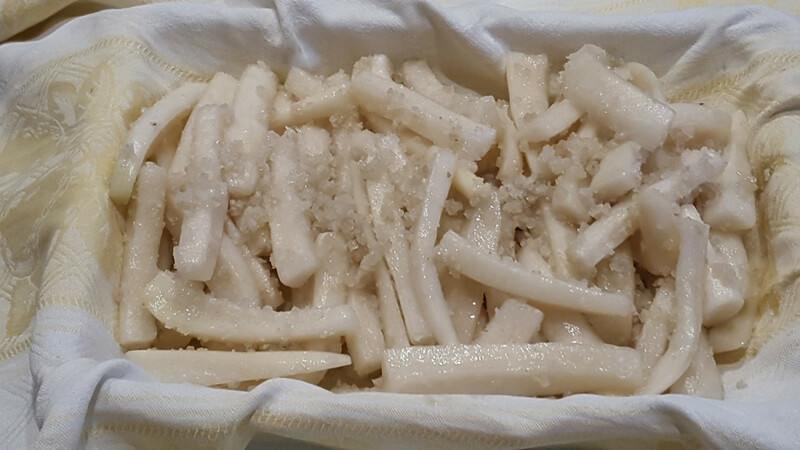 Although you only need small amounts of the preserved radish in a dish, the various choi poh dishes are so delicious that you’ll go through a large quantity in no time at all. Peel the radishes and cut into batons. Place the radish batons into a large glass container. Rub a generous amount of coarse sea salt into the radishes, making sure that all the batons are well-coated with salt. Covered the bowl with cling film and leave to stand overnight. By the next day, the radishes will have exuded much of their water content. They’ll be sitting a large amount of liquid. Rinse off all the salt. Dry the radish batons. The easiest way to do this is to spin dry the radish baton in a salad spinner. Weigh the rinsed and dried radishes. Place in a bowl and add coarse sea salt equal to 20% of the weight of the rinsed and dried radishes. Rub the salt into the radishes. Place the salted radish batons onto a clean cloth like a tea towel. Wrap the radishes up. Place the radish parcel on a rack and weight it with a heavy object. Leave in a warm place to undergo fermentation. 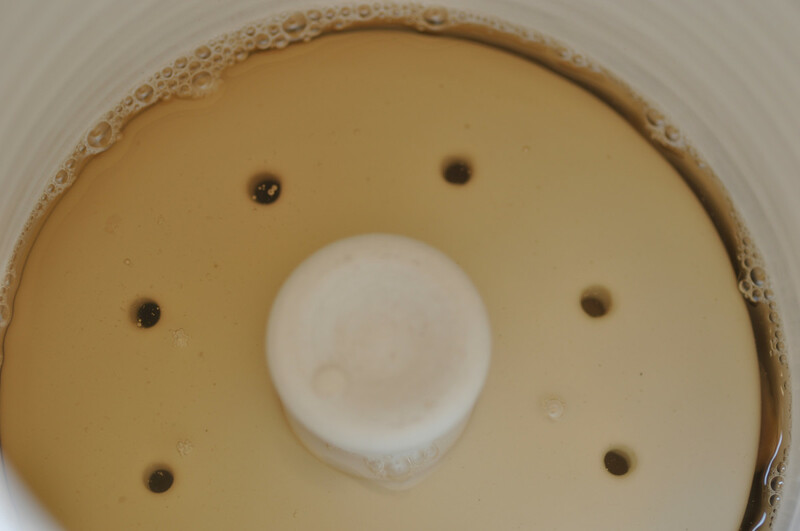 The length of time for fermentation depends on the ambient temperature: the warmer the temperature, the faster the fermentation process. The radishes should be left until it develops a strong “whiffy fragrance” (not a bad smell; rather the unmistakable smell of fermentation) and the radishes turn a pale brown colour. This ensures maximum flavour development. When I did my batches, the ambient temperature was about 17°C to 19°C for most of that time. While it did start developing that distinctive "whiffy" scent after a week, it took 16 days at this temperature to achieve the really pronounced scent and the colour change I wanted. 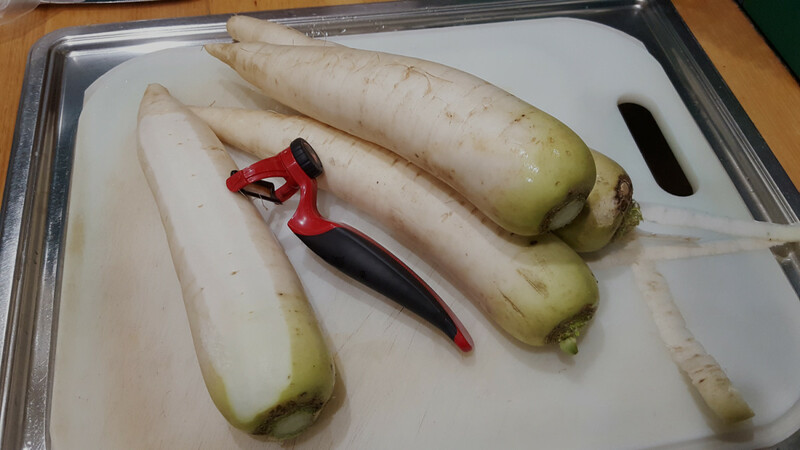 Once the radishes have reached the desired level of fermentation, prepare a sugar syrup based on a ratio of 200g sugar to 250g water. Combine sugar and water in a saucepan and bring to the boil, stirring constantly to dissolve all the sugar. Once the syrup comes to the boil, remove from the heat. Set aside to cool completely. You need enough syrup to completely submerge the radish batons. With the batch of 1.4 kg radishes at the end of Stage 1, I used a sugar syrup made with 600g sugar and 750g water. Place the fermented radish batons (along with the salt coating the batons) into a large non-reactive container e.g. 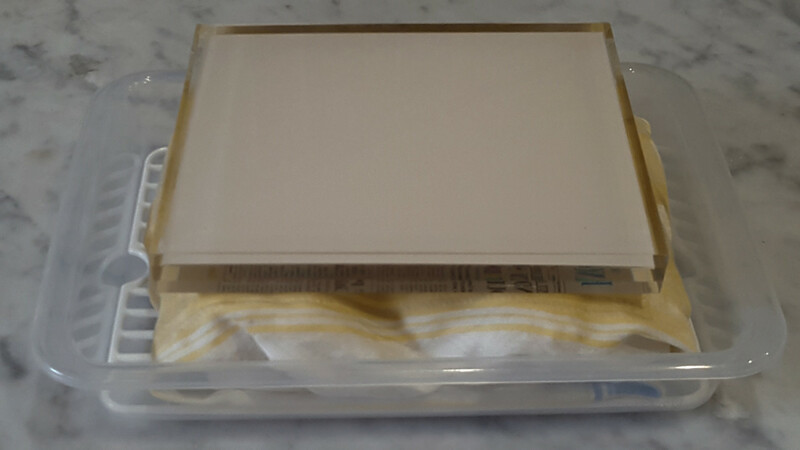 glass or ceramic container. Make sure the radishes are all fully submerged in the syrup. You can weight them down with a plate or use clingfilm pressed against the surface of the syrup.I use an olive brining jar that comes with a weight to keep the radishes submerged in the syrup. Leave in a warm place for at least 24 hours. I leave it for up to 2 days. Remove the radishes from the syrup. 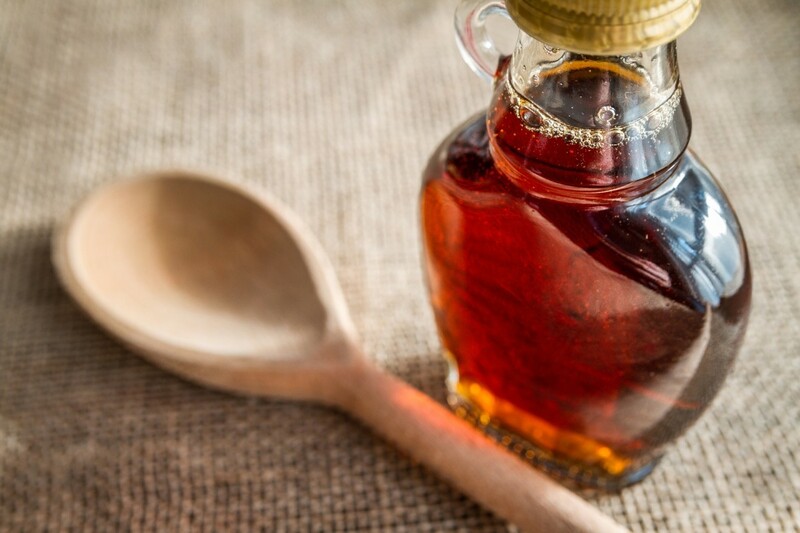 Discard the syrup. Leave the radishes on racks overnight to drain off excess syrup. 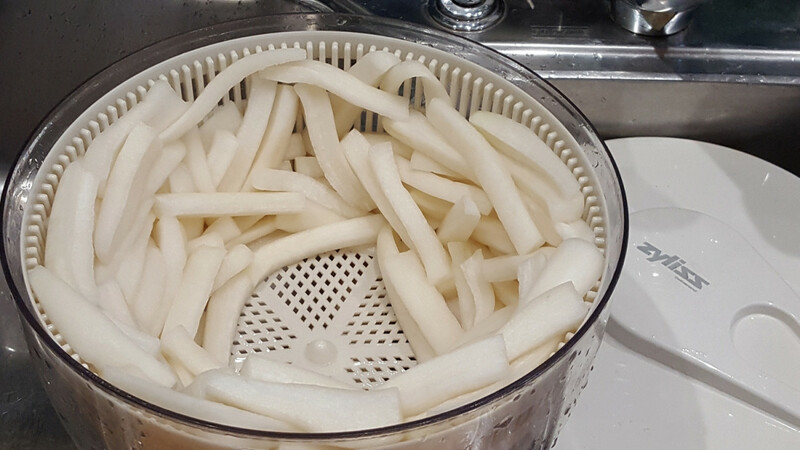 Dry the radishes in a dehydrator at 35°C for about 8 hours or until completely dry. You want them to be dry but not to a crisp. Pack into an air-tight container or bags. 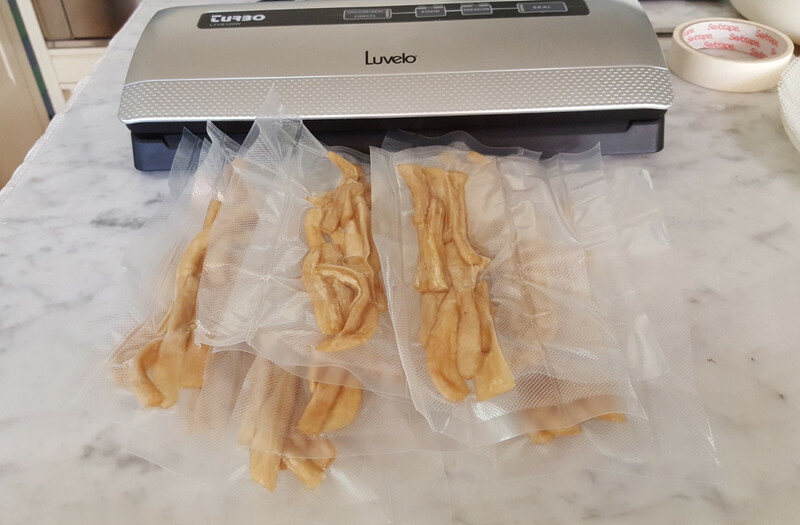 I vacuum pack them in small batches (about 50g per pack). They will keep indefinitely at room temperature. However, as no preservatives are used, it’s best to refrigerate them once you’ve opened a packet. I don’t know anyone who doesn’t love this home-style dish. So simple yet so satisfying. 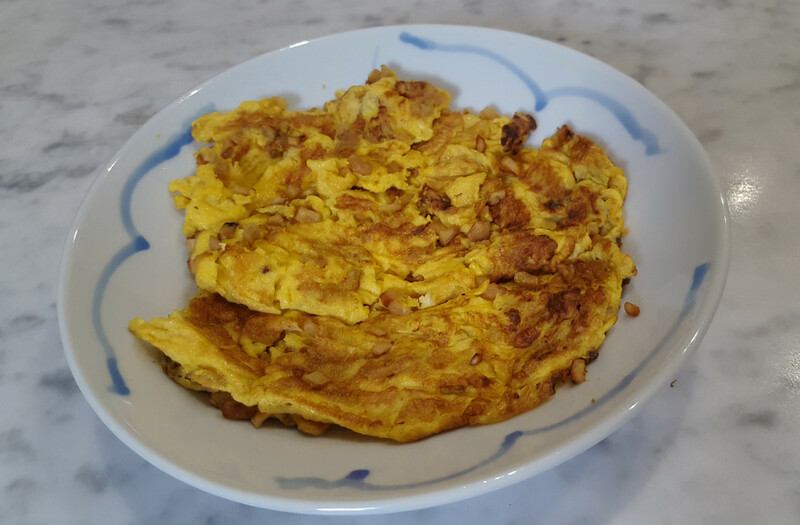 The eggs in a Chinese home-style omelette are cooked firm (rather than creamy as in a French omelette) to a golden brown. Use about 10-15g minced choi poh for 1 large (65g) egg. 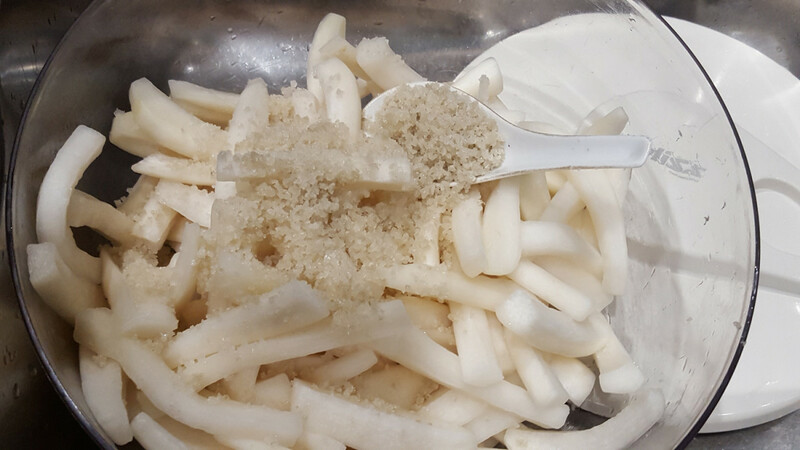 Do not add any salt as the choi poh is salty. 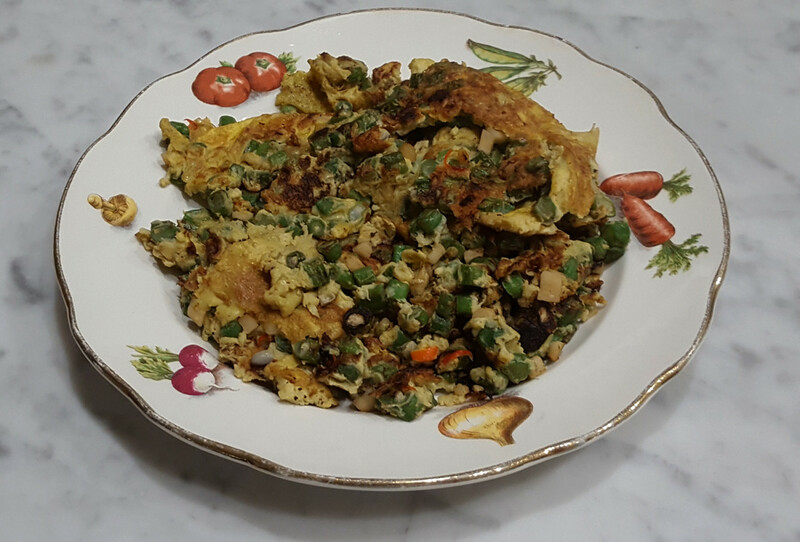 For a 2 egg choi poh omelette, coarsely mince about 20 – 30g choi poh. Whisk 2 eggs thoroughly. Add 1 – 2 tablespoons water to the eggs to lighten the mixture. Heat a wok (or fry pan) to moderately hot. Add enough oil to coat the wok. Add the minced choi poh and fry for a few seconds. Add the beaten egg. Swirl the egg mixture around the wok to get an even layer and to distribute the choi poh. Once the egg mixture is set and the underside is golden brown, flip the omelette over and cook until golden brown. Serve immediately with congee or steamed rice. 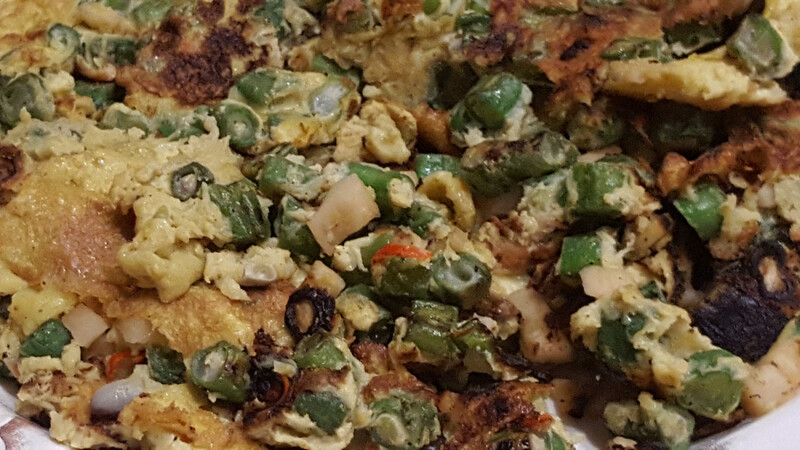 You can also add diced snake beans to the omelette. Just increase the number of eggs. Fry the diced snake beans until the beans about 75% cooked through. 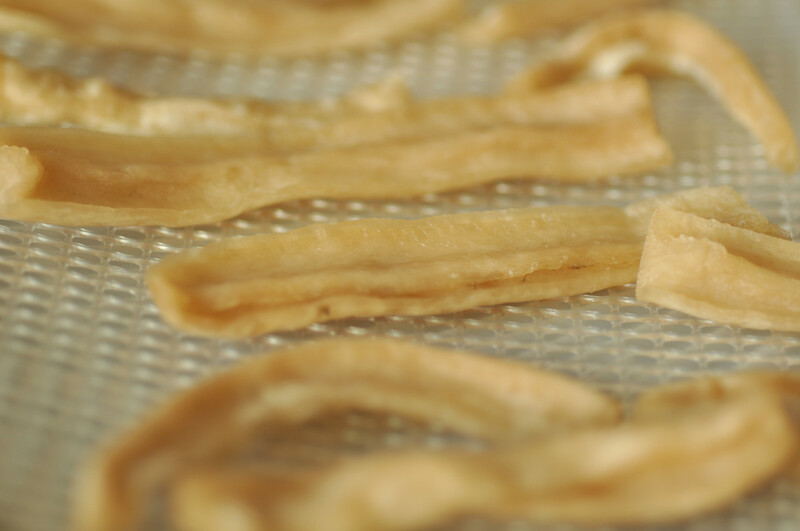 Then add the choi poh and follow the process in the above recipe. You can also add finely sliced chillies if you wish to spice it up a little. Can the choi poh be used in soup? How long should I cook it in soup? What is another option instead of using a dehydrater? Can you confirm that it is indeed 20% salt weight of the radishes after Stage 1 of 1.5kg is 300g of salt? 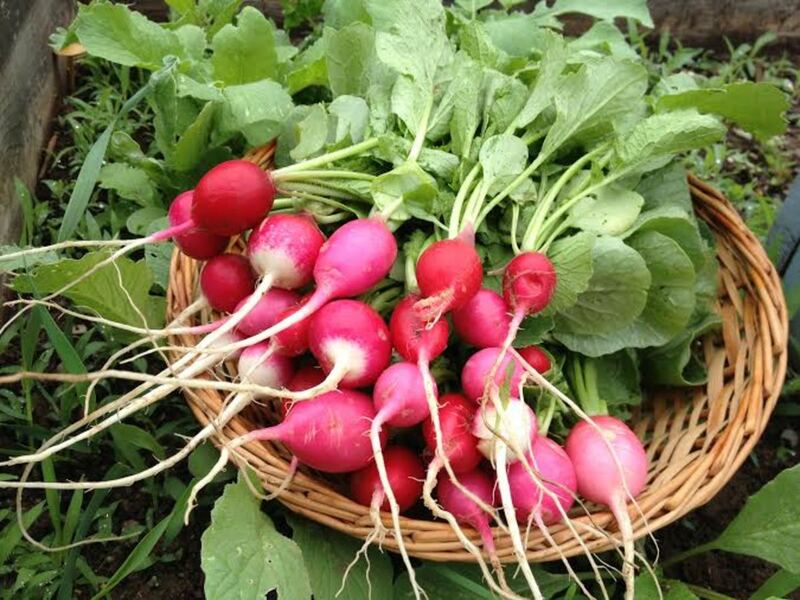 If the rinsed and dried weight of your radishes is 1.5kg, you would use 300g salt (i.e. 20% of 1.5kg). Is monosodium glutamate pork gluten? No. Monosodium glutamate has nothing to do with pork. This is happening during the fermentation period. It has been about 10 days over at this keeping this room temperature of 26-28°C. It turned slightly brownish already and the part that worried me is that there is some white stuff developing on the fermented radish. Is it okay? There shouldn't be white stuff developing on it. The room temperature is fine. To be on the safe side, I'd get rid of the bits with the white stuff. Hi John, Happy to be of help. Enjoy! 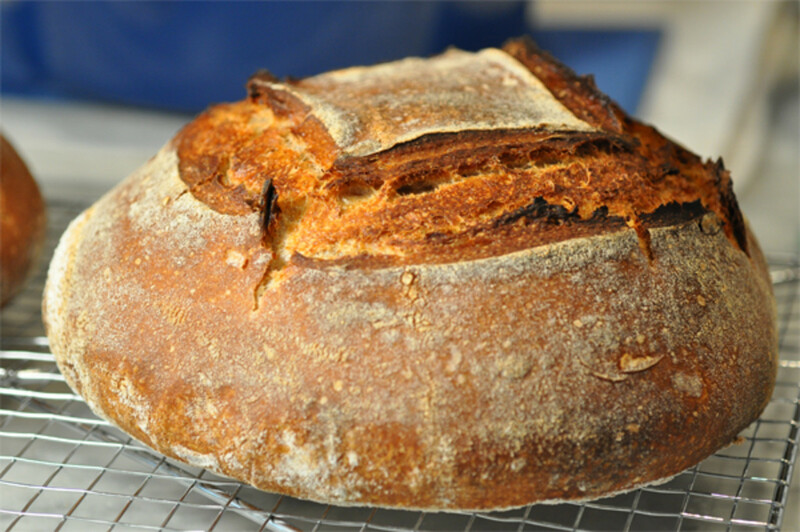 Thank you very much for this recipe, I am very much looking forward to making it. I was searching for this and had a hard time finding it, so am very grateful to you! Hi Tanya, Yes use weights. 250g water and 200g sugar. 200g sugar to 250g water for the syrup is this weighed (both) ? Thanks looks great, my fav ethnic food store closed (well only one near me) so this will help greatly with one ingredient!